The Bungalow Kennel is all about the style, this unique design is fully insulated throughout. Not only the roof is insulated, but the walls and even the floor are too! The insulation offers warmth during winter and coolness during summer. Great for all year round. A dual opening roof and an offset doorway offers added protection from the wind and rain. 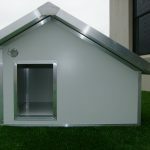 The dual access roof system enables all areas of the kennel to be easily accessible to aid with keeping your dog’s home clean and tidy. The Medium Bungalow Kennel has a raised insulated floor to aid in the prevention of moisture and rising damp. 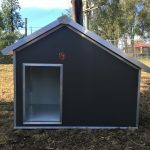 The Bungalow Kennel was originally designed because a customer wanted their old chewed timber kennel to be replicated with a tougher more durable product, one that their dogs won’t chew. 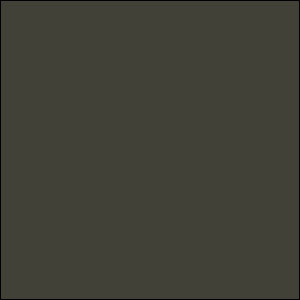 We have had numerous requests from other people liking what they see, so it is now available in small, medium, intermediate, large and x-large. 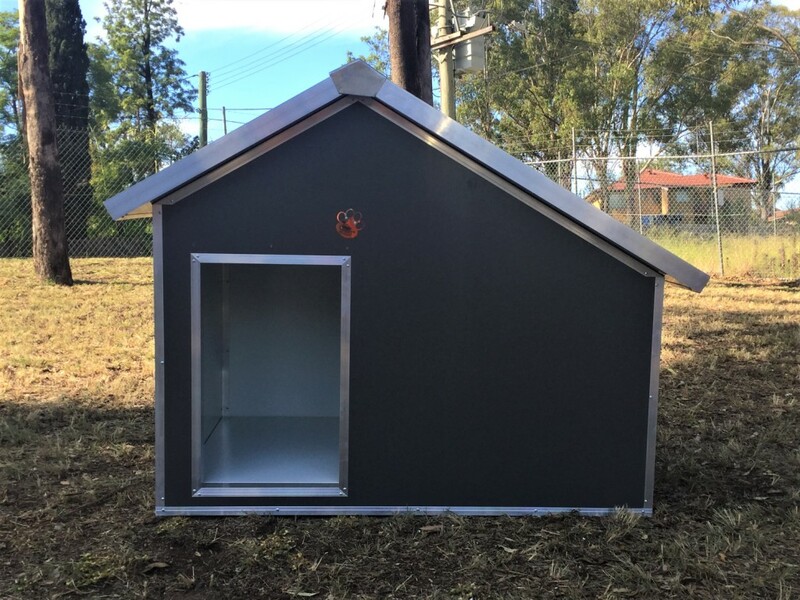 No project is too big or small for us so if you need your kennel to change a little or a lot please just ask and we will be happy to assist. Please select ‘delivery enquiry’ for a further enquiry or to obtain a quote which includes freight. No project is too big or small for us.